According to reports, town considers this yoga a zoning violation and a cease and desist letter has been issued to Aussakita Acres Farm in the woods of Manchester, which offers hands on educational farm tours and where yogis interact with goats during yoga class. Distinguished Hindu statesman Rajan Zed, in a statement in Nevada today, wondered that while many cities in USA were offering free yoga classes in their parks; Manchester seemed to be discouraging multi-benefit yoga. 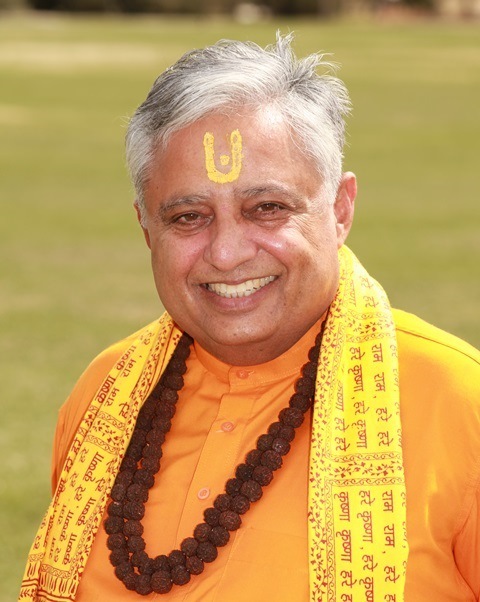 Zed, who is President of Universal Society of Hinduism, urged Mayor Jay Moran, Deputy Mayor Margaret H. Hackett and General Manager Scott Shanley, to reconsider the issue and thus help yoga flourish in Manchester, instead of pushing unnecessary and burdensome regulations.Yoga, referred as “a living fossil”, was a mental and physical discipline, for everybody to share and benefit from, whose traces went back to around 2,000 BCE to Indus Valley civilization, Rajan Zed noted. Zed further said that yoga, although introduced and nourished by Hinduism, was a world heritage and a liberation powerhouse to be utilized by all. According to Patanjali who codified it in Yoga Sutra, yoga was a methodical effort to attain perfection, through the control of the different elements of human nature, physical and psychical. Aussakita Acres Farm, where animals are stated to be a passion, is reportedly owned by Tracy Longoria and DJ Lupacchino.Town of Manchester, incorporated in 1823, is the home of iconic restaurant Shady Glen and is known for Manchester Road Race. Notable people associated with Manchester include actress Astrid Allwyn, long-distance runner Alberto Salazar, ice-hockey player Doug Jarvis and memory disorder patient Henry Molaison. What! Lord Ganesha printed on toilet seat!